As we know APOSS Inter Result in a key role for each and every student in their educational career. The result in the Inter exam is the most important as it would be helpful in getting Certificate. All the students who are curiously waiting for APOSS Inter Result 2017 can get latest notifications for their Inter Result 2017 from here. Students should keep in mind Hall Ticket Number, Name, and Date Of Birth Provided while applying for the exam. Provide the details and Just click on the submit button. After submitting candidates can take a printout of the result for future use. A.P. 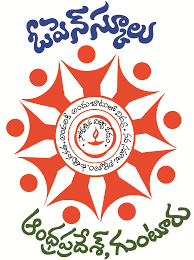 Open School Society was established as an autonomous society registered under the Andhra Pradesh Public Societies Act on 20th of February 1991 and inaugurated on the ‘Ugadi Day’, the 17th of March 1991, vide G.O. Ms. No.50 Edn. Department, dt: 08.02.1991. It is the first State Open School in the country. The main objectives of APOSS, at the time of its inception, have beeTo provide pre-elementary Education through Open and Distance Learning (ODL) mode to School drop-outs and those missing Upper Primary stage of education and to attain Universalization of Elementary Education (UEE) in the State. To provide continuing education for adult neo-literates, working men, and women to reinforce their functional literacy and not to allow them to relapse into illiteracy.The Hon’ble Chief Minister of Andhra Pradesh is the Chief Patron and the Hon’ble Education Minister of Andhra Pradesh is the Patron of A.P. Open School Society. It has a General Body and an Executive Board at the State Level for which the Chief Secretary to the Government of Andhra Pradesh is the Chairman. There are District level committees in the Districts with District Collector as Chairman and District Educational Officer as Member-Secretary for implementation of the scheme. While the Open Learning scheme is in implementation at Upper Primary level in all the districts of the state, during 1997-98, the APOSS has formulated Open Basic Education (OBE) Scheme through which a Bridge Course was introduced as a pilot project, to the drop-outs of classes III & IV and to the adult neo-literates who were covered under Total Literacy Campaign (TLC)/Post Literacy Campaign (PLC) programmes of Adult Education Department, in five districts viz., Visakhapatnam, Nellore, Chittoor, Nizamabad and Karimnagar with the financial assistance of Department of Adult Education, MHRD, Government of India (GOI), New Delhi.Similarly, during 1997-98, at Upper Primary level Urdu medium centers are opened under Open Learning Scheme in Hyderabad for the benefit of the Urdu clientele, with the financial assistance of Municipal Corporation of Hyderabad (MCH), under Indian Population Project (IPP). About 9 lakh learners are enrolled at Upper Primary and Secondary level (up to Class IX) from 1991-92 to 2007-08 and nearly 4.6 lakh learners have successfully completed the course. The Andhra Pradesh will conduct APOSS Inter Exams Every year in a Scheduled manner. Those student who had given the exam are eagerly waiting for the result from the day they gave the exam. In Previous Years, APOSS released the exam result in the month of may. However, the board will follow the similar direction in this year also. So we could expect the result in the last week of may. Students who want to know their result immediately are advised to bookmark our page to open it easily and Candidates are requested to visit our site regularly regarding further notifications so that they can get updates in an easy manner. Students, who want to check their results first, can visit www.sarkarirecrutment.com AP board is conducting various exams for Inter student every year. At Present, there are lakhs of students all over the Andhra Pradesh appears for Inter examination for each and every year. APOSS examination will announce results around 2-3 a month from the day of commencement of exam for past few years from the date of commencement of exam. By following previous years results to date will come on mid of May. The final date will be announcement out either few days before the result. So you have to maintain the daily check on our website to get a clear picture of the final date. And the other thing to be kept in mind is heavy traffic on the website as large number of students are checking their Bord results on the official website. So there is a chance of network trafficking leads to slow viewing and downloading of results.so the students check our site. There are some steps to follow how to log in and view on their APOSS exam result in 2017. After check ‘APOSS Inter Result 2017’ appeared on a web page. As of previous years this year also there are huge numbers of students appeared in this exam. APOSS will declare the APOSS Inter Result 2017 at the official website that is www.apopenschool.orgorg sooner. We are at our best service in helping you’re to make it more easy and clear. This page provides complete and clear information which will help you to get detailed information. Keep checking our website www.sarkarirecrutment.com for timely updates on APOSS 2017. so keep in touch with our site Sarkarirecrutment. Hope you enjoy our site and comment for further suggestions. All the best for Results and go ahead with bright Future.